Game description: Dengeki PlayStation is a Japanese gaming magazine published by ASCII Media Works. Dengeki PS2 was a special edition version of Dengeki PlayStation that was published about three or four times a year in irregular intervals. It was first published on January 22, 1997 under the title Dengeki PlayStation D, and was changed to the current title in September 2001 until its final issue on February 15, 2008. 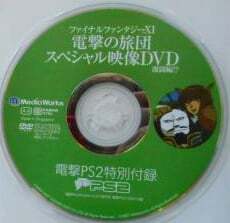 This disc was issued with Dengeki PlayStation ?-th edition. The issue consists of two DVDs. The first is a video only DVD contains PS3 promotional videos as well as PS2 game videos. The second is a PS2 data DVD. This page was last edited on 29 March 2018, at 20:37.